Rusted Windmill ...Relax, Play and Getaway in Ellicottville, NY! 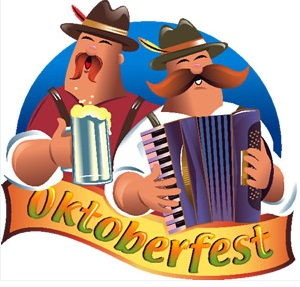 : Ellicottville NY Fall Festival 2014 - Prost to the Oktoberfest! Ellicottville NY Fall Festival 2014 - Prost to the Oktoberfest! Oktoberfest is an annual German fall festival that is usually celebrated the 3rd or 4th weekend in September. The Oktoberfest tradition began in 1810 celebrating the October 12th marriage of Bavarian Crown Prince Ludwig to the Saxon-Hildburghausen Princess Therese. The citizens of Munich, Germany were invited to join in the five days of festivities celebrating the marriage, which were held on the fields in front of the city gates. A hours race was the main event of this original Oktoberfest. 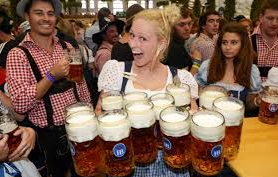 Since its Bavarian origins in 1810, the Oktoberfest has changed substantially. The horse races were last held in 1960, and the agricultural show is put on only every four years. The Oktoberfest event still takes place on the "Theresienwiese" ("Theresa's meadow"), which was named after the new bride; to the locals, it's simply known as "Wies'n". During the two weeks before the first Sunday in October, these fairgrounds are transformed into a city of beer tents, amusements, rides, performers, and booths of vendors peddling traditional foods and traditional confections. The mayor of Munich opens the festivities at noon on the first day of the fair when he drives the wooden tap into a barrel of beer and proclaims O'zapft is! ("It's tapped!"). The festival was moved from the Original October marriage celebration for better weather to celebrate in the last two weeks of September. Traditions in the Oktoberfest festival include the Costume and Riflemen's Procession on the first Sunday of the festival, in which some 7000 performers combined in groups with traditional costumes and historical uniforms, marching bands, riflemen, thoroughbred horses and other livestock, old-fashioned carriages, and numerous floats -- parade through the streets of Munich's city center showcasing the diversity of local, regional, and national customs. The second Sunday of the Oktoberfest features an open-air big band concert involving approximately 400 musicians who comprise all of the Oktoberfest bands. Oktoberfest is celebrated around the world and many still have the keg tapping, traditional dances, music, food, beer, wine, schnapps so that family and friends can celebrate the fall. You won't see the keg tapping, traditional dance, lederhosen or dyrndls; but you will see great music, food, beer, wine and a fall celebration with family and friends. Take a chair lift ride up to the top of the mountain on the ski lift to see the fall color, enjoy a snack and listen to the entertainment. 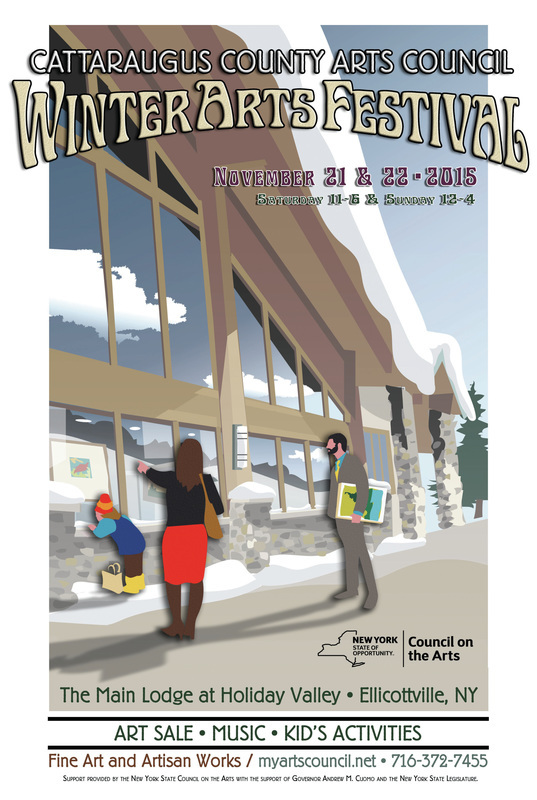 For all skiers, check out the ski swap and curbside market. There are some great deals. For shoppers, check out the Art show, Craft show and curbside market. There are some fabulous artists and entrepreneurs in the region that have some great work and ideas. For the foodies, check out some of the local restaurants. We recommend Kabob Kafe, Dina's, Ellicottville Brewing Company, Tips up and the Gin Mill. All of the restaurants in town area excellent and cater to different palates. For the kids, check out the carnival rides, Pumpkinville and the chair lift ride. Carnival rides ... say no more. Pumpkinville has tractor rides, shops, a corn cannon, fresh cider, homemade maple ice cream, fresh pumpkin doughnuts and a fantastic BBQ pit. Pick up a pumpkin or two. 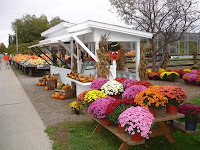 If you are looking for pumpkins, gourds, corn stalks and other fall decor, check out Hall's produce and Pumpkinville. Plan ahead. Make reservations for lodging, find parking lots a little ways out of town. 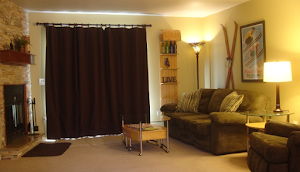 Holiday Valley has parking available just south of town that is a short walk away (a little more than 1 mile). They may have shuttles available. 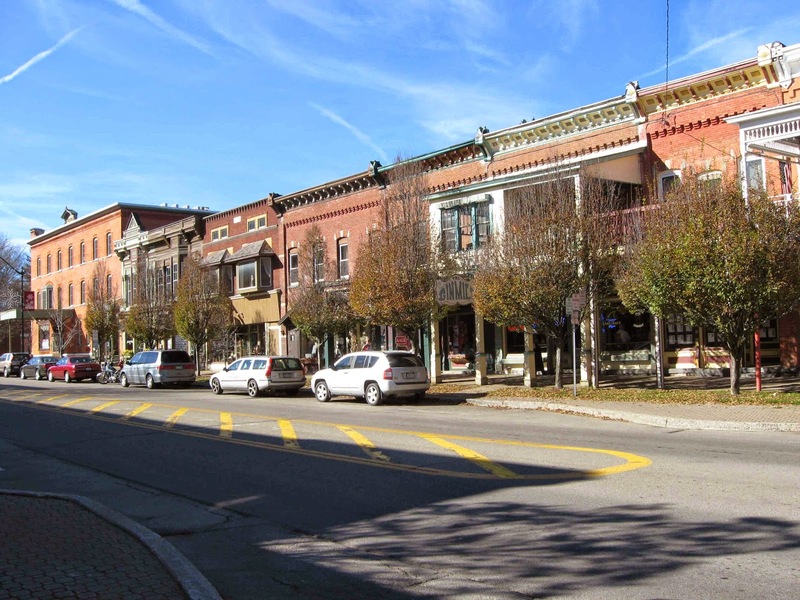 Parking in downtown Ellicottville is limited and can be hard to find. There are taverns and pubs that serve fabulous local beer and wine as well as your regional favorites. Ellicottville has 2 micro breweries in town, the Ellicottville Brewing Company and John Harvards Brewhouse. The Winery of Ellicottville is also downtown and has been making fabulous wines since 2010 in this location. Some great regional beers are sold in the Tops market, E'ville Spirts and other retailers, which include Southern Tier Brewery (Lakewood, NY) , Great Lakes Brewery (Cleveland, Ohio), Saranac (Saranac, NY) among others. For the beer drinkers, check out the pumpkin ales and the Oktoberfest beers. Southern Tier makes the Pumpking beer, Saranac has a Pumkin Ale and Great Lakes has a flavorful Oktoberfest. The Winery of Ellicottville has a tasting room to sample all of their wines. They make fabulous wines and are a great addition to Ellicottville. We recommend these white wines: Traminette, Pino Grigio and the Reisling. If you like sweet wines, the Snow Fox is great. For the red wines, we recommend the Syrah and Pinot Noir. Each of their wines are balanced and have great flavors to meet your tastes. The 5K Running Race starts at 10 AM on Saturday October 11, 2014, with registration at 8:00 AM at the New Holiday Valley Lodge (look for signs). The course starts down Holiday Valley Road to 219 south, loops around the Ellicottville school and back to Holiday Valley. Beware of the monster hill at the finish! A fun post-race party and awards ceremony will be at the Mountain Sports Center. The party also includes a lunch, amazing door prizes and more. This race celebrates the amazing views during the most beautiful time of year as your run! Pre-register via the links below (on-line or mail-in entry form) or come down on race-day to register. T-shirts are guaranteed to the first 300 participants. The race will be run Rain or shine. 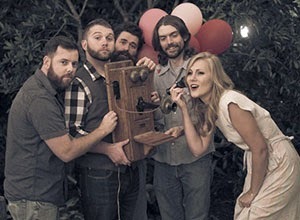 For more information on the 5K run go to http://www.heartrateup.com/fallfestival5k. The Mountain Bike Race starts at 10 AM on Sunday October 12, 2014, with registration at 9:00 AM at the Holiday Valley Resort Mountain Sports Training Center. The 4 mile route goes up the work road to the top of Holiday Valley then the singletrack begins across the top of the resort and down through the woods. The climb up definitely needs a low gear. It is a very challenging course and you can choose from 4 different divisions which range from 1 to 4 laps. The entrace fee is $20 for pre-regestration or on the day of the race. For more information on the race go to http://www.heartrateup.com/. The Aerial park and mountain coaster will be open from 9:00 am to 6:00 pm on Saturday, Sunday and Monday for the thrill seakers. 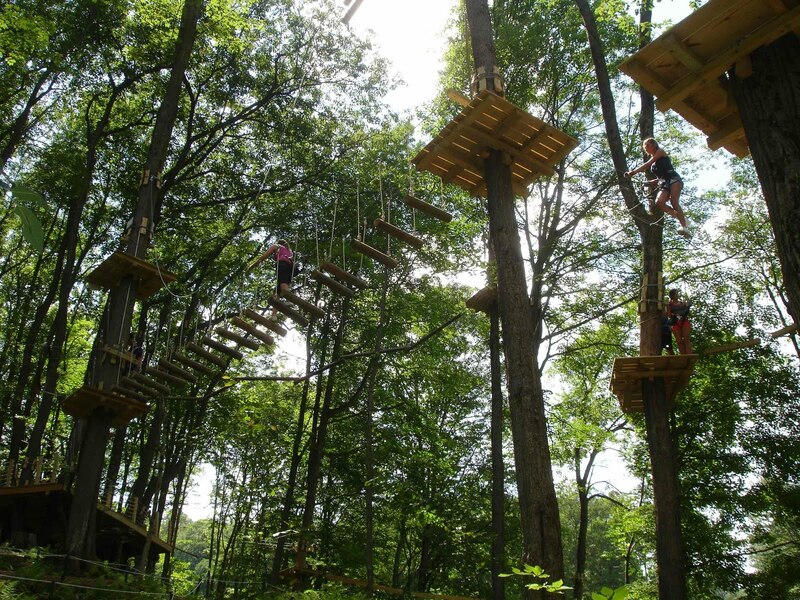 The aerial adventure park requires reserverations and has three skill levels! 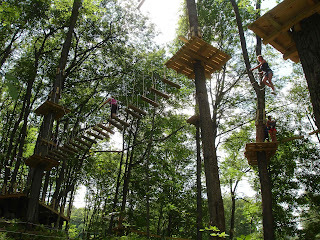 Check out the bridges, crosswalks, zip lines in the trees above Holiday Valley Resort. The Mountain Coaster flys down the hills at the resort. The coaster is controlled by the user with a hand brake. *Application form to enter the art show, craft show or curb side market: 2014 Fall Festival Vendor Application Form. There are plenty of activities going on around Ellicottville as well. Pumpkinville is a local tradition that families have enjoyed for generations. If you are looking for some local produce to take home, stop by Hall's produce just outside of town. Finally, there is always the scenic drives round the hills of Ellicottville. Just head out route 98, 219, 241 or 242 and see where it takes you. There are some fabulous activities outside the city, so take a small diversion from the festival. 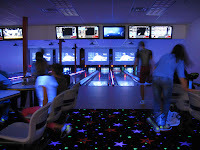 In the fall of 2012, Tim and Bonnie's Pizza opened with EVL lanes. 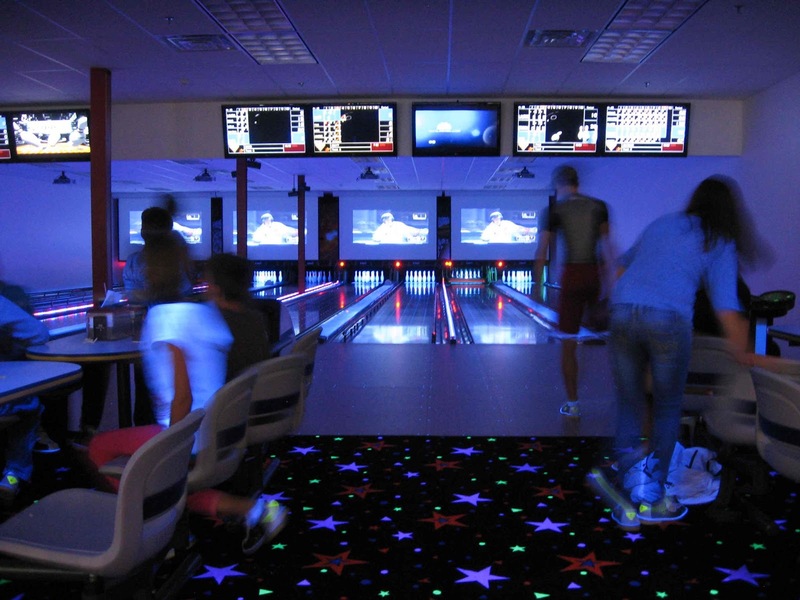 The EVL lanes are an 8 lane bowling alley with full TV screens, an arcade, cosmic bowling and more. They have a great menu that includes pizza, salads, wings, sandwiches, beer, soda and more. This is great addition to the fun family activities in Ellicottville. 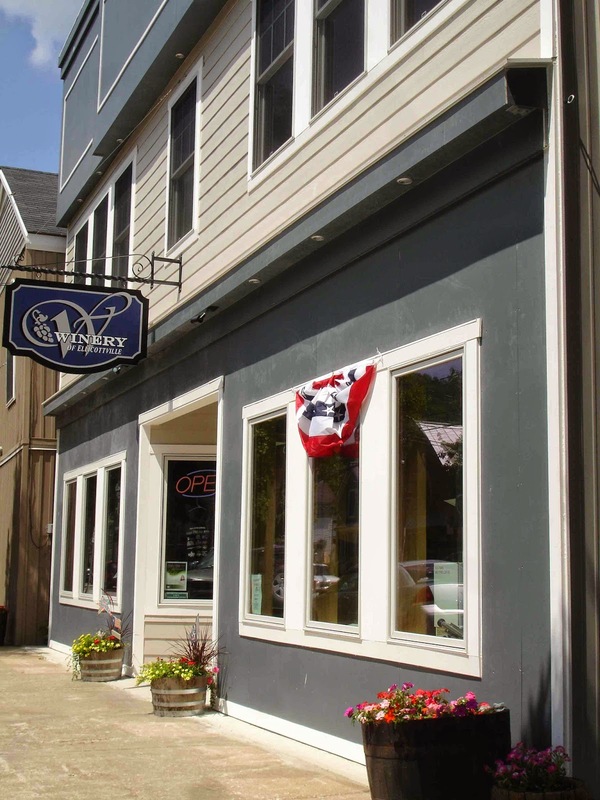 The ally and restaurant are located a few blocks east of downtown Ellicottville off of route 252/219. Take a trip and enjoy the Oktoberfest festival. 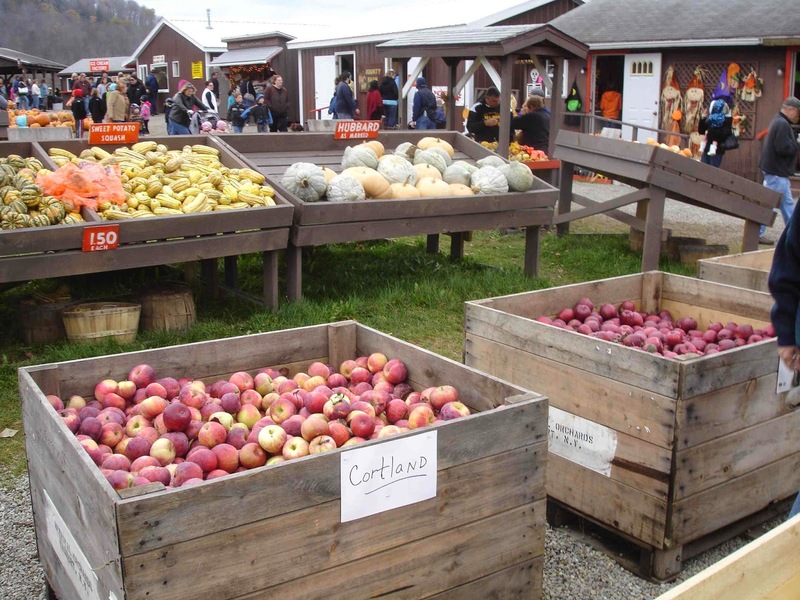 There is so much to enjoy in Ellicottville during this fantastic annual fall event. The hills are full of color, the streets are full of music, fun and people, the stores and tents are full of sales and the smell of great food is flowing from the restaurants and vendors and the smell of barley and hops fills the air around the Ellicottville Brewing Company. The tradition of Oktoberfest is alive, celebrating the fall season! Prost!